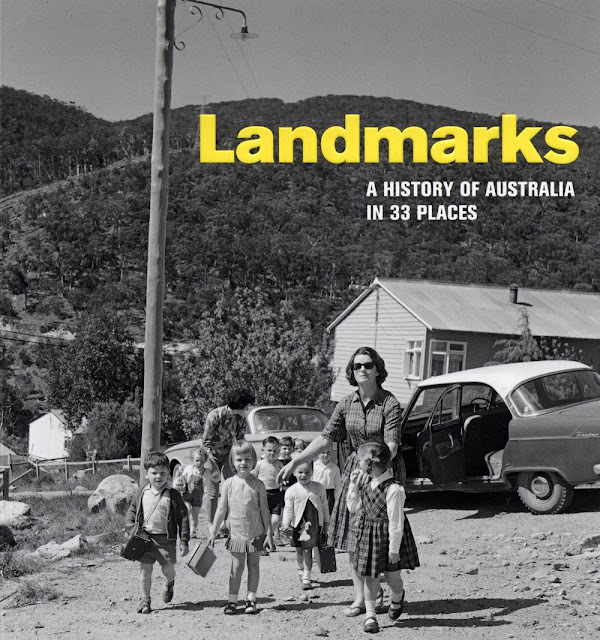 Earlier this year the National Museum of Australia produced a new book entitled Landmarks: A History of Australia in 33 Places. We're very pleased to reveal that Carnamah is counted among them. The book is a companion to the museum's permanent exhibition Landmarks: People and Places across Australia, which opened in 2011. Both the exhibition and the book include a section on Carnamah and its soldier settlement after the First World War. More on the exhibition can be found in our 2011 blog post Carnamah's Place at the National Museum of Australia in Canberra. How do a set of opera glasses, Phar Lap’s heart, a pair of 'punishment shoes' and a brick making machine tie us, as a nation, together? These pieces are among the many objects displayed as part of the Landmarks exhibition at the National Museum of Australia. Together they weave a rich tapestry of Australian history; each is a marker for a place and time in our past—where we’ve come from, how we’ve lived, created and adapted to this land. The book is available for $29.95 at all good bookshops or online through the shop on the National Museum's website. If ordering online the postage within Australia is about $8.